BetVictor is the self-styled Gentleman of Bookmaking, delivering top notch odds on the Football as well as a long list of other sports categories, and doing it all with humour, sophistication, and class. 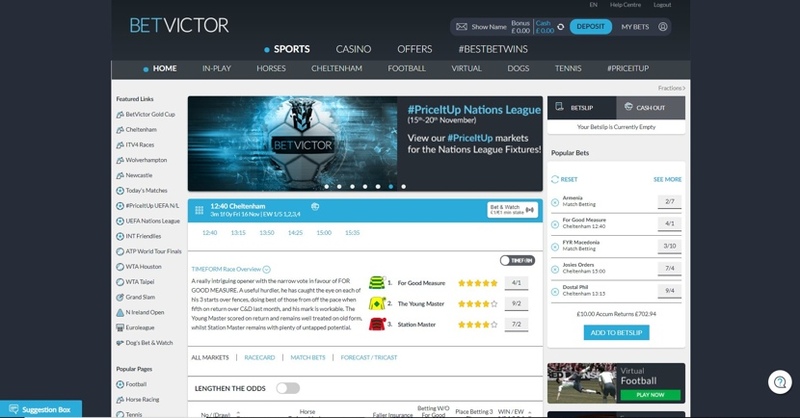 A champion of new technology and a leader in their field, BetVictor have often been ahead of the pack with the latest industry trends, and they aren’t afraid of hard work either – only 400 staff run their worldwide operation. Football, Racing, and Tennis bettors are well catered for here, and plenty of enhanced odds and innovative features and promotions make this a bookie that is well equipped to look after returning customers and new punters alike. This is probably BetVictor’s main selling point, especially for Football bets. They consistently offer some of the best odds available on major European Football leagues, and this has been confirmed by a leading independent odds comparison site. Not only that, but the coverage and depth of markets in this category is astounding. Global fixtures including women’s and youth team games are available, with ante post betting options on practically everything. You may never have heard of some of them, but a win on Hapoel Nahalat Yehuda can be just as profitable as a win on Chelsea. There’s never a dull moment if you bet on the Horses, with all races from UK & Ireland getting full coverage as well as Best Odds Guaranteed, plus, meetings as far away as South Africa, America, and the UAE are available. Tennis is another favourite, and you can bet on matches from France, Australia, and the US daily. It’s also rare to see odds available in Indo and Chinese, but they are an option here, alongside Fractional, Decimal, and American odds. Speaking of odds, BetVictor are particularly strong in the field of Enhanced Odds, Bet Boosts, and Daily Specials. They will be evident when you explore each category or you can view them all together on the appropriate page. The Results Service, Bet Calculator, and Stats only enhance this already professional betting environment. Overall there are 35 sports categories, with Futsal, 9 Ball Pool, and the lesser spotted Water Polo among them; and the wealth of American Sporting events deserves a mention, too. To be honest, you can’t go far wrong here. The in-play area does work well, we just want to make that clear. We particularly like the collapsible categories in the overview which makes browsing markets uncomplicated and easy to manage. Once you open an event though things aren’t quite as good. Again, it works great, it’s quick and it’s clean and there are stats available (although pretty limited on smaller fixtures) just like you would find anywhere else – it just feels a bit sparse visually. The infographic, where it exists, feels too small and isn’t as interesting or interactive as you find elsewhere. BetVictor have developed it themselves, though, so kudos for that; and on the plus side, when you are looking at a specific event you can still browse all other categories down the left-hand side using an instinctive mini menu. Great for keeping an eye on current scores. 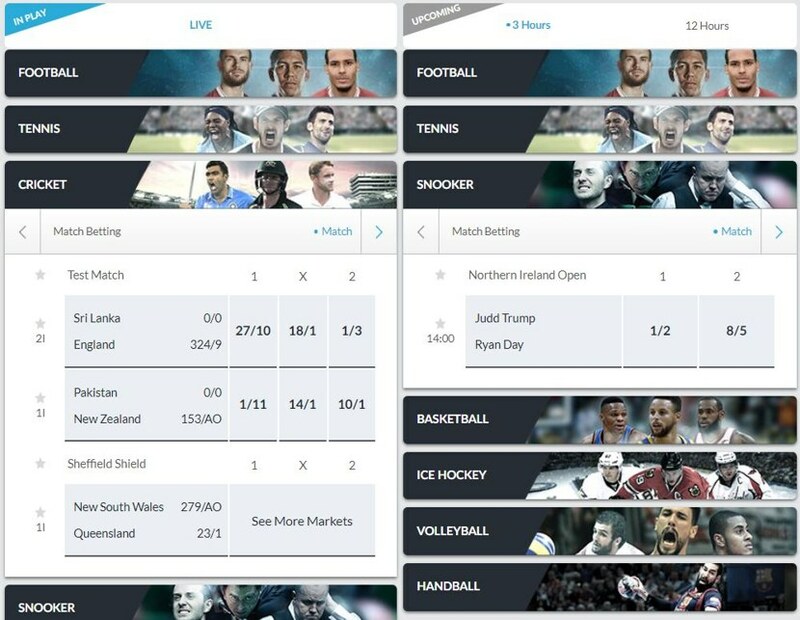 There are usually at least 100 events to explore even at quieter times, with Football, Basketball, and Tennis taking the lions share; and actually, BetVictor cover more sports than many other bookies can claim to do. Plus, favourable odds combined with a wide range of bet types make for plenty of value and variety within each event. If you like to stream the fixtures you are betting on this probably isn’t the place for you. They do offer streaming on UK & Irish Horse Racing if you have bet at least £1, but other than that there is not much to brag about, unfortunately. It’s a product which functions perfectly and offers a lot when it comes to the nuts and bolts of betting, it just doesn’t have much flare. Being a global bookie it makes sense for BetVictor to offer a wide range of payment options, so you are unlikely to struggle for a payment method to suit you. Some of the processing times listed are a little longer than we like to see, especially when it comes to e-wallets. BetVictor claim to process withdrawals their end within 24 hours max although they aim for same day release, so maybe they are just managing expectations with these wait times. Nevertheless, everything seems to be in order here and while it isn’t their strongest area there are other bookies who fare much worse. We are often a little mean about the virtuals, but do you know what, BetVictor gives fans of the genre a decent product to play with, with events starting every 3 minutes. There are only 6 categories – Football, Horses, Dogs, Speedway, Motor Racing, and Cycling – but the graphics are some of the best we have seen, with various weather conditions to boot. The commentary could be better, we noticed it glitched in and out once or twice in Motor Racing and is a little lack luster on the Horses, but the Football commentary is great. It’s a Virtual Sports area for fans of racing sports really, but the Football has a much better depth of markets than we have seen on virtuals elsewhere. Giving the punter more control than ever, and even allowing them to tweak existing bets, is the #PriceItUp Bet Builder. #PriceItUp existed to allow customers to request a price on any bet they could come up with. Now, with a few recent additions to the product, bettors can manually combine up to 10 individual selections in a single match accumulator bet. This makes it the most powerful bet builder on the market. It’s only available for Football and it’s easy enough to use; you just navigate to the match you want to bet on, find the #PriceItUp button and then explore all of the markets and combinations before making your selections. Once your odds have been formulated (which takes seconds) you just lay your stake and cross your fingers. Cash Out is a regular sight these days, and at BetVictor it will be available only on Football, Tennis, Basketball, Horse Racing, Snooker, Badminton, Table tennis, and Volleyball markets. The Cash Out icon will clearly indicate whether or not your particular bet qualifies. In a nutshell, the feature allows you to take a profit or a loss before a bet has finished. You will be given a new price at the time you request Cash Out and this price will be based on live market odds. You might want to use it if your selection is currently winning (and you bet on them to win) but they are starting to falter and the other team looks like scoring. You will take a smaller profit, but at least that profit is guaranteed; whereas if you wait for the game to finish, the other team could score meaning you lose your stake. You could use this the other way around too, and claw back some of your stake to reduce your loss. This is exactly the same idea, except you can play with the odds further by leaving a percentage of your initial bet in at the original price. For example: You have bet £10 that Joshua will knock out Fury in round 5 (relax, its just an example). Fury has had a good few first rounds and is dominating, but Joshua lands a hammer blow at the beginning of round 5 and Fury staggers. It’s crunch time for you and your wager. On the one hand, Joshua could follow through and knock him out, but if Fury survives the round your bet is lost. In this scenario, you could Cash Out £5 of your bet at new odds and leave the other £5 in at the original odds. This way, if Joshua knocks Fury out you still get the profit on half of your bet, but if he doesn’t you have reclaimed some of your stake. It’s uncommon these days to find a Sportsbook that doesn’t also offer a Casino in some form or another, and BetVictor is no different. There are 700+ games available all in all and it couldn’t be simpler to use. Choose between Slots, Table Games, Live Casino, Jackpots, and Instant Win games, and fill a bit of time in-between fixtures, perhaps. The Live Casino is especially good for Blackjack players and the Slots are powered by some of the biggest developers in the business. Read our full Casino review here for a fully rounded picture. The website is visually striking and exudes professionalism, just as you might expect from the Gentleman of Bookmaking – it could have stepped straight out of a tailors on Saville Row. It isn’t just cut well, it moves with style too. You can navigate from page to page in no time, and all of the icons and text have the perfect blend of tone and colour, making them easy to differentiate and take in. This is also thanks, in part, to the layout, which is airy and neat but still packed with content; it really is the show home of online bookies. 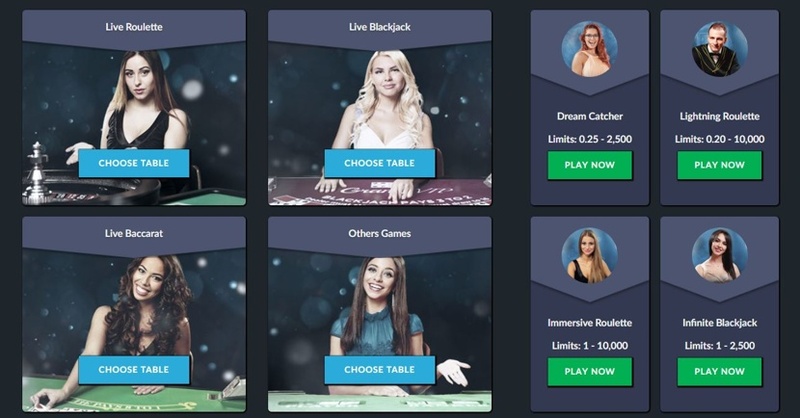 Featured Links, Popular Bets, Popular Pages, and All Sports are the immediate options from the Homepage; while a taskbar grants access to the sports categories on which BetVictor focuses most of their attention. You should never be more than a few clicks away from your next bet. 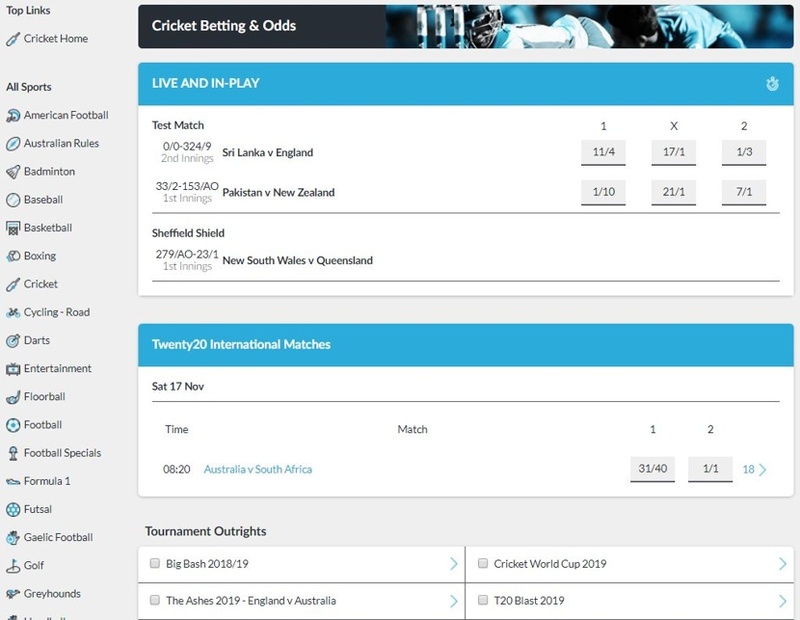 Each sports category gets its own overview page once selected, highlighting any live games or enhanced odds offers before allowing you to choose a tournament or league to bet on. This works well and its good to have the offers right there in front of you. If we had one suggestion for improvement it would be to use the full width of the screen, but they have managed to make the site feel spacious in spite of not doing this so what do we know. However, a better system could have been employed for structuring leagues within sports categories, as this can be a bit of a scroll-a-thon. 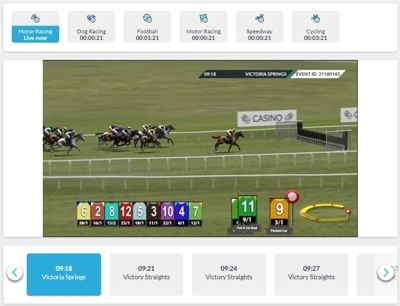 These are minor points, though, and what impresses us the most is that BetVictor handle everything on the technical side in-house, so they have built the interface from a platform they developed themselves. However they did it, they are clearly using the right tools for the job. Sorry to gush, but this really is a work of art. Absolutely top of the range. You can feel the quality as you smoothly travel around the site, with some innovative features to make navigation fun and the interface incredibly easy to interact with. A lot of these are tiny details, like nifty mini menus within menus, but it’s these little extras that make it a cut above. Cash Out, Bet Slip, and Open Bets are your immediate options which makes perfect sense for a mobile product as you are more likely to be using it in-play, and the way the Main Menu functions is probably the best in the industry. The in-play area utilises collapsible categories (that look amazing by the way), and once you expand a particular event the infographic works like a dream, with Stats, Commentary, and the many betting options sensibly organised by type below. Just like the desktop site it is crisp, clean, and inspires confidence with absolutely no gimmicks or fuss. Just download it. Sign up and download it. 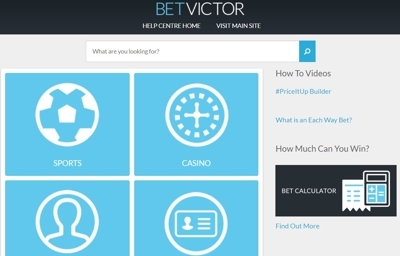 BetVictor is an interesting character in the industry, because while the company was technically founded back in 1946 when William Chandler ran the Walthamstow Stadium; these days, BetVictor is an online only enterprise. They are known for their pioneering attitude, fearlessness when it comes to new technology, and defiance in doing things their own way. Indeed, Victor Chandler was one of the first bookmakers to go online with his company back in 1998, and ahead of the pack in relocating offshore for tax purposes – a move which almost everyone else in the industry followed. Perhaps much of the character associated with the business comes from the people at the top. William Chandler was a charismatic chap, and when he passed the business on to his son Victor, who subsequently rebranded the company under his own name (big head), things only got better. Victor Chandler senior died suddenly in 1974, and his son, Victor Chandler Jnr, took over the business while only in his mid 20’s. It was this Victor Chandler who ultimately turned BetVictor into the success that it is today, and perhaps the confidence of youth had something to do with it. They now turn over more than £1 billion annually serving more than half a million customers in over 160 countries. Sponsorship and advertising have played their part in the company’s growth, and the old Chandler ego showed it’s face once more when Victor himself starred alongside Paul Kaye in a successful TV advertising campaign. The company also became the official betting partner of Chelsea FC for a time, and principal partner of Liverpool FC soon after. In 2014, Victor Chandler handed over the reins to a major shareholder, Michael Tabor, and for the first time, the Chandler family no longer owned BetVictor. Tabor continued in the same vein, however, tenaciously pioneering in-house technology to deliver cash out, in-play betting, and a mobile app to their customers without having to rely on outside help. 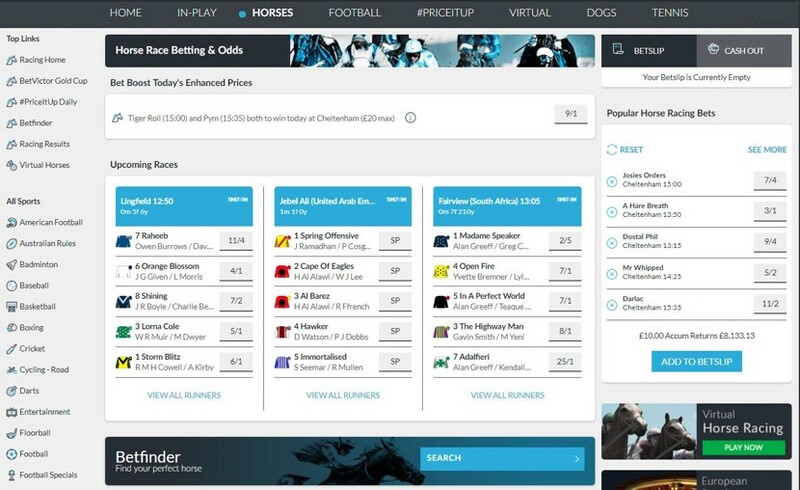 If you can’t be bothered to shop around or keep track of multiple accounts with different bookies, BetVictor will give you good prices and a no fuss gambling experience. It is also a perfect choice for professional gamblers who like to dip between a curated list of bookies, as the Football markets are extensive, the odds up there with the best, and the site’s infrastructure is strong and supports many useful features that the novice bettor wouldn’t usually use. While the in-play capabilities are on the whole very good, if you are a fan of Live Streaming you will no doubt have more luck somewhere else. 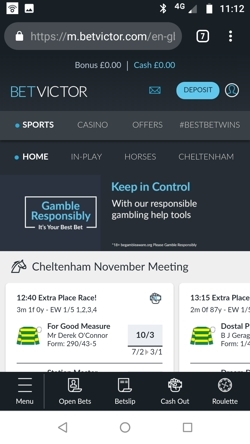 If you bet mostly on your mobile then BetVictor has to be a serious consideration. This is one area where BetVictor could do with a bit of restructuring. It’s not that the service is bad, but it could be more user-friendly. Email and Phone are also available, you can even request a call back which you don’t see very often, and the Twitter account even advertises social media exclusive offers. On top of this, there is a Suggestion Box from which you can Suggest, Complain, or Compliment the company, and we support the fact they are actively encouraging feedback from punters, it’s great to see. So, on paper everything is in place to offer a fantastic support service, it just needs to be structured into a single incorporated interface in our opinion. Live Chat – Follow the instructions above and once you make it through the labyrinth you will be answered quickly by a very knowledgeable team member. Opens in a new window. Email – You can use the weird speech bubble form, or you could just email help@betvictor.com – which seems more sensible. Phone – There are a few numbers knocking around the internet. BetVictor advertises 00447537416837 as an SMS option and 08000 612 809 is another to try. If you struggle request a call back. @BetVictor – Maintaining the professional vibe, this account still manages a healthy does of adult humour. Not that sort of adult humour. Grow up.